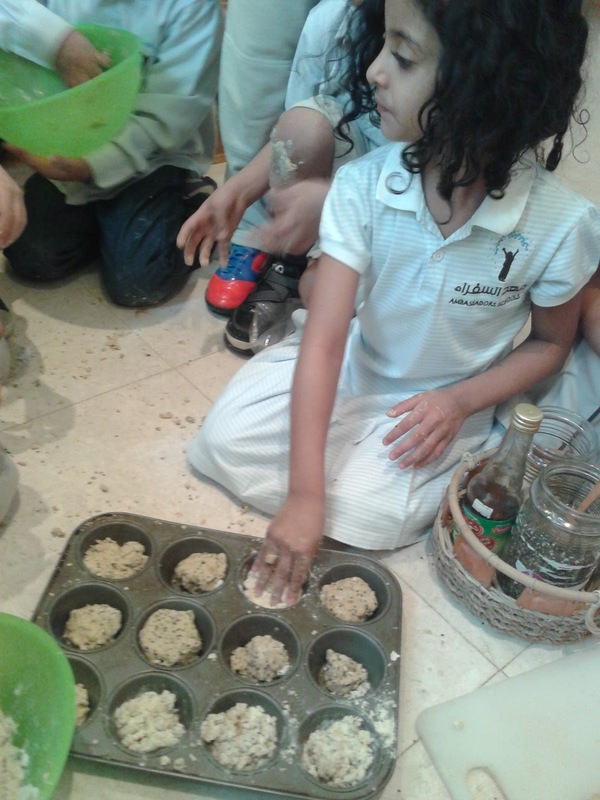 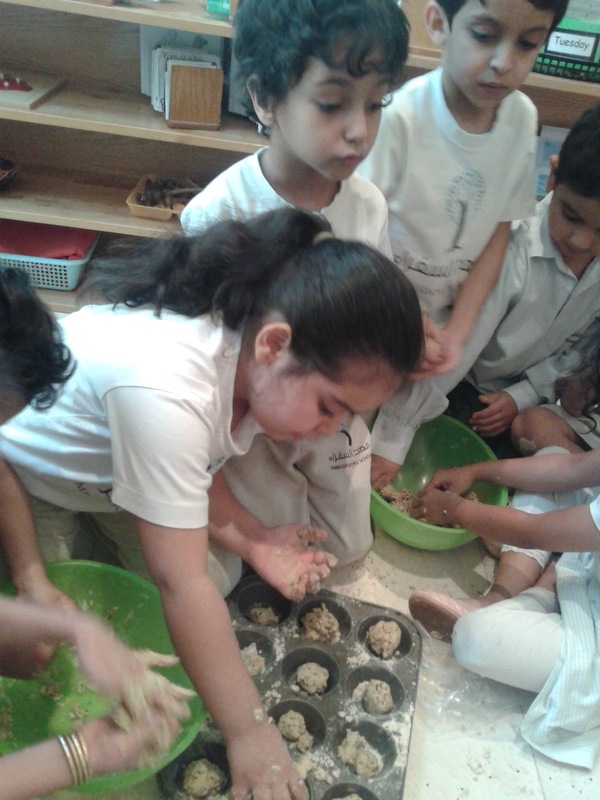 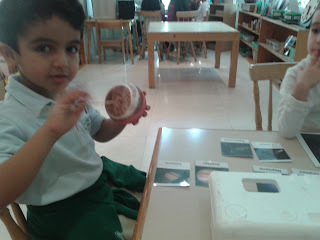 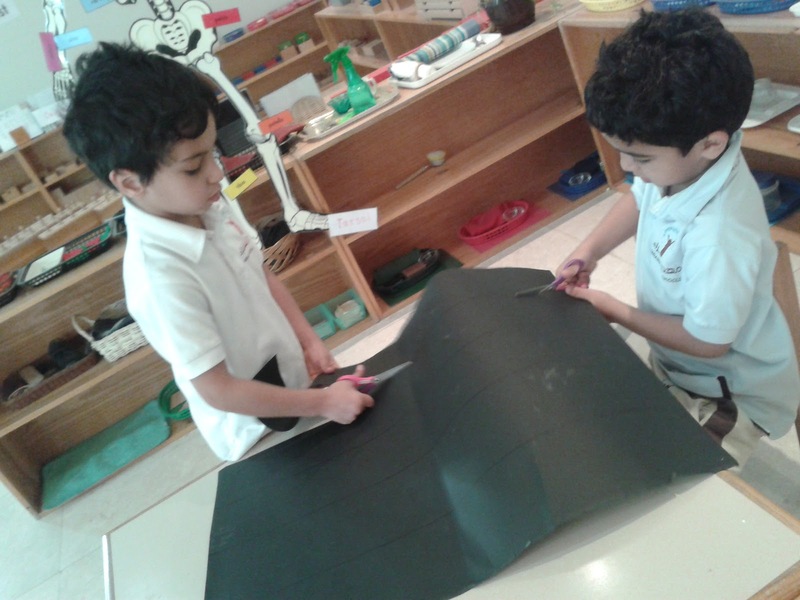 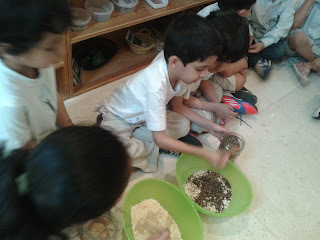 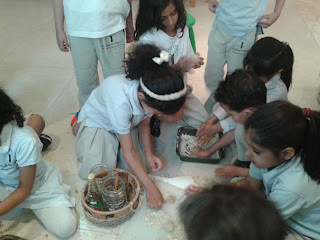 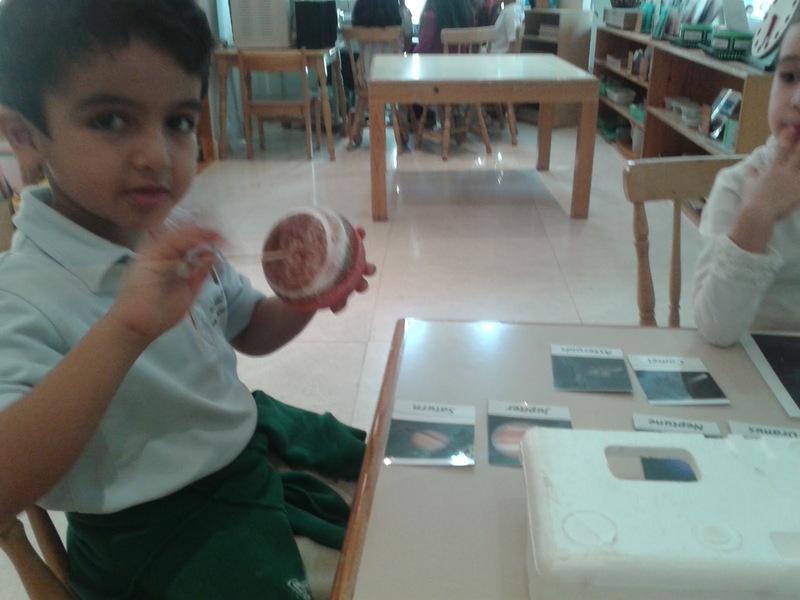 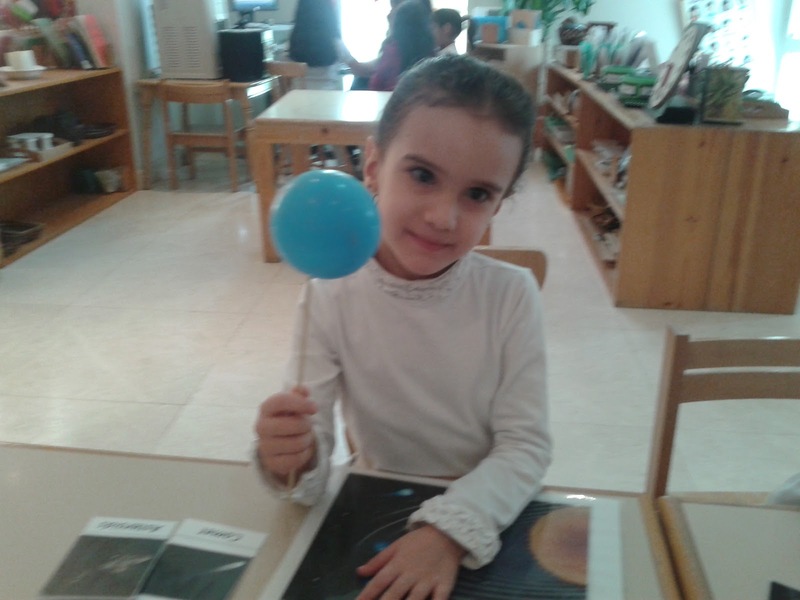 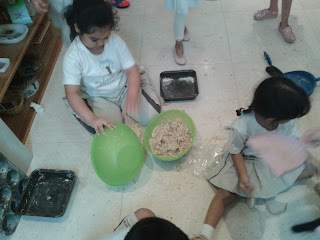 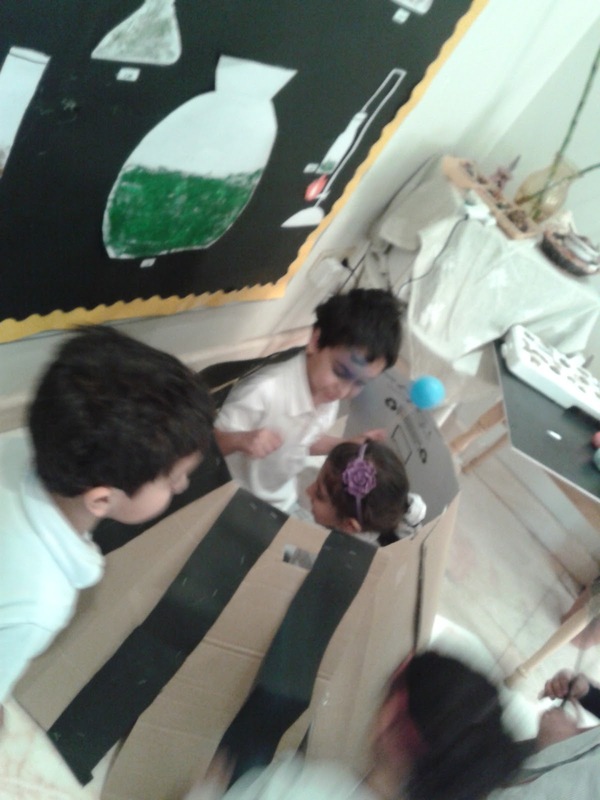 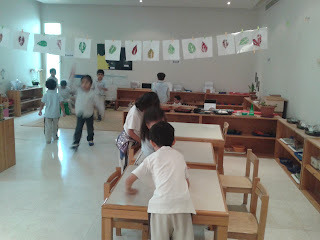 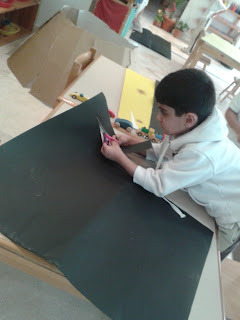 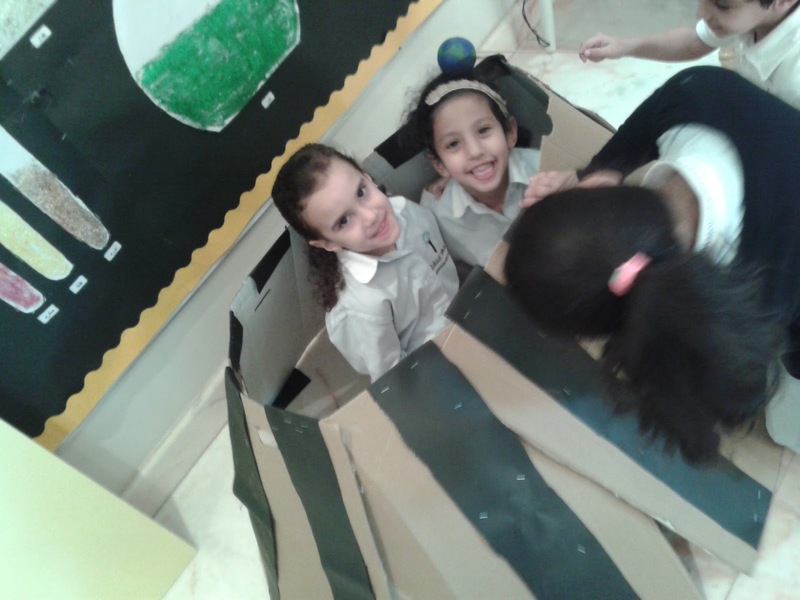 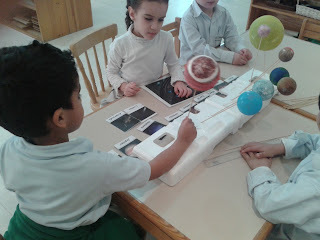 Last month we all were busy in our SCIENCE PROJECT week. 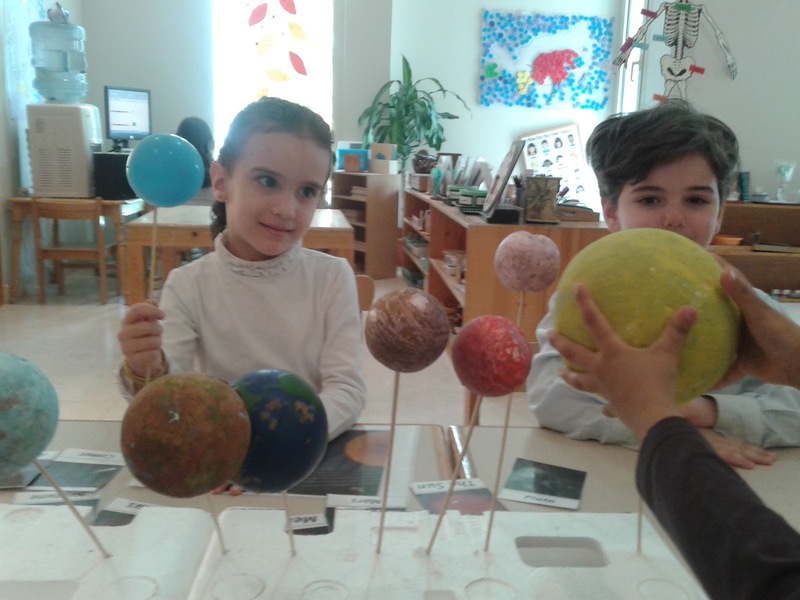 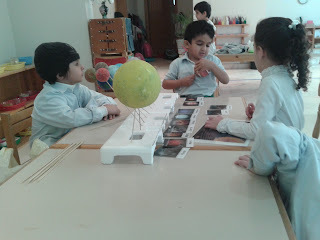 And as we were learning some new Geography facts, some children started asking me about the Origin of Earth, planets and Space.So I decided to make a SOLAR SYSTEM project for our class. 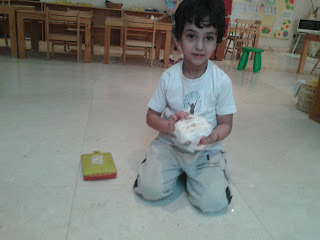 I bought few thermocol balls of different sizes. We painted them according to their colour as we have seen in our lesson on the GEOGRAPHY shelf . 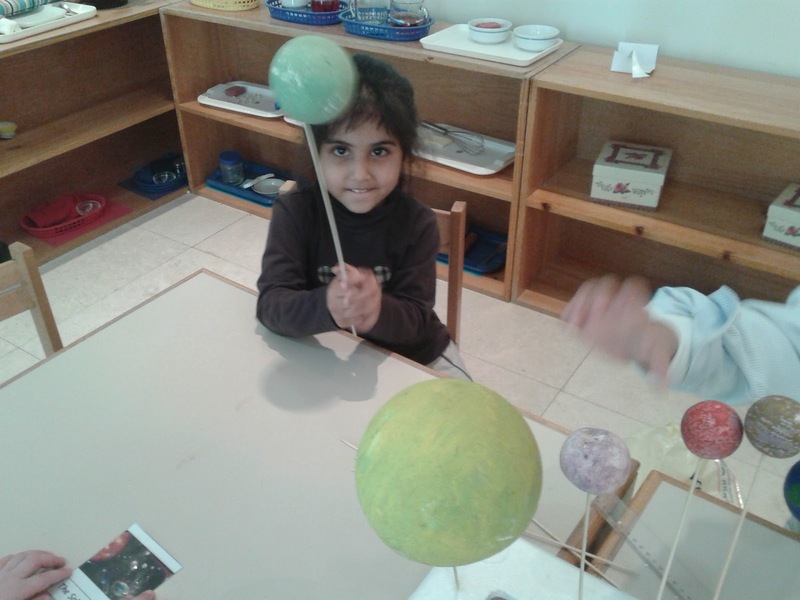 The next day some of the children took out the Solar system cards and started Matching it with the planet balls which we have painted a day before. 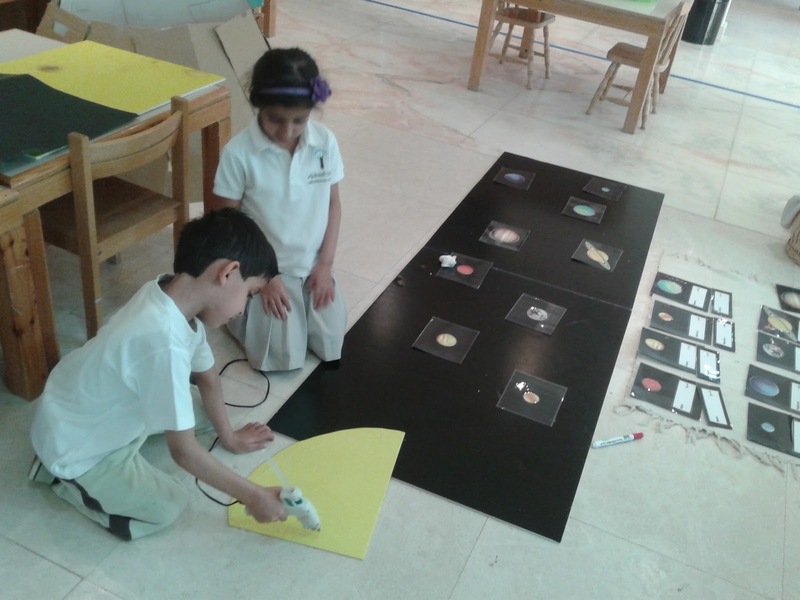 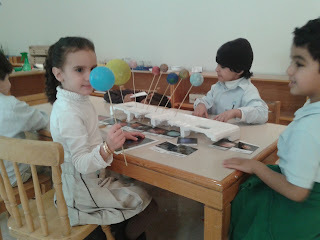 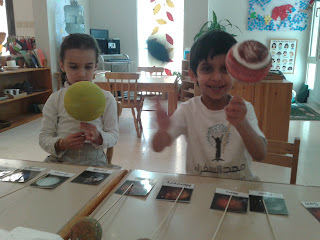 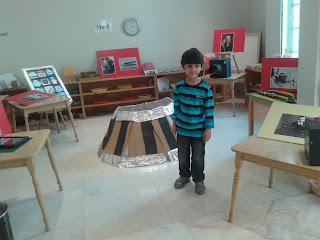 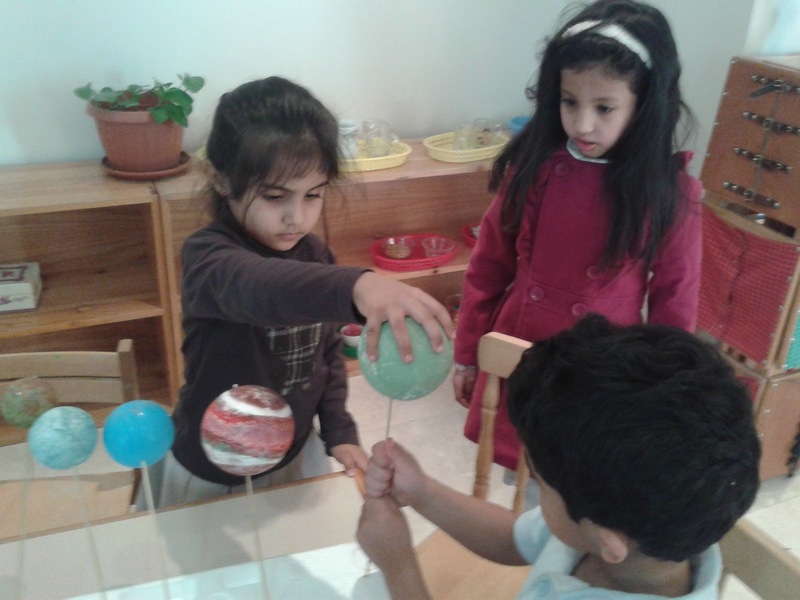 I asked them that we need to make a "base or stand" for the planets to display . And then they all started collecting the thermocol pieces which we have been collecting throughout the year , we cut them equally and then its time to paste them together to make a long stand . 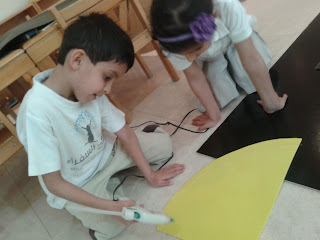 Under my supervision, they just love to use the Glue gun. 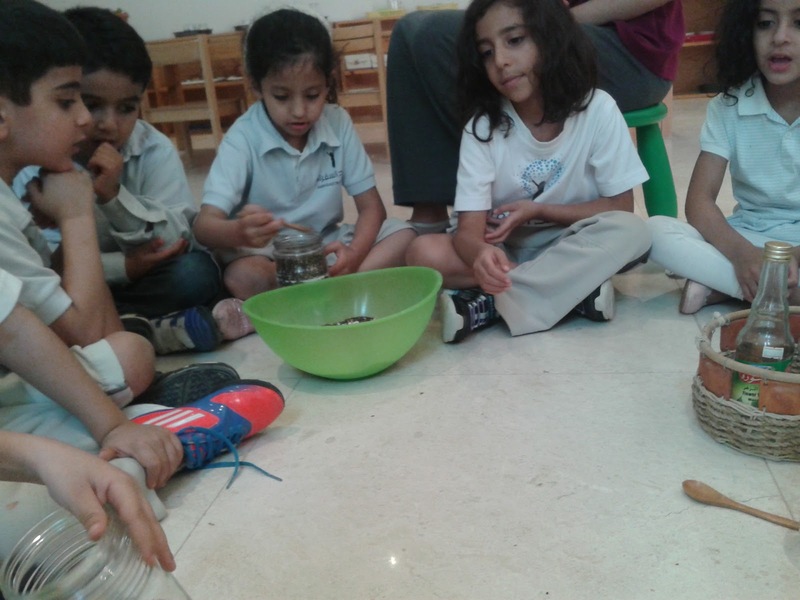 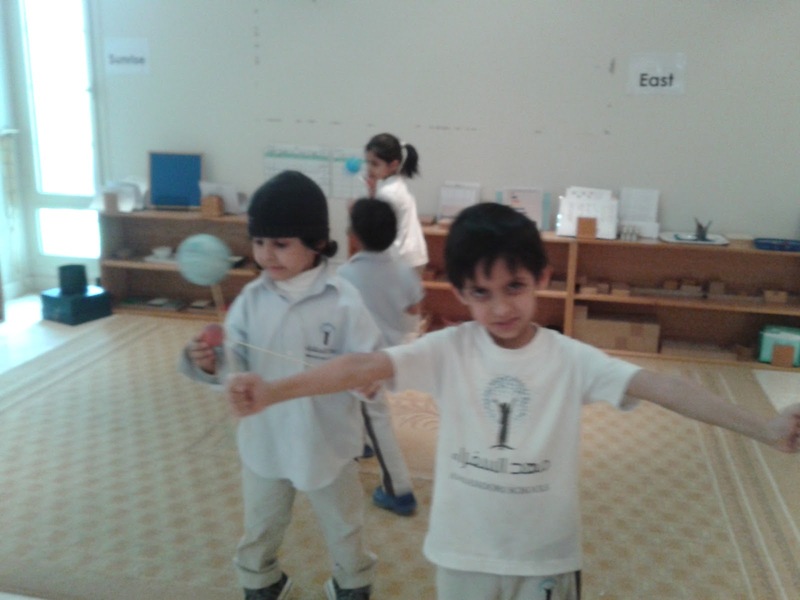 While some other children were busy in preparing some other projects with my Assistant , we as a group were working together and helping each other ; here these kids were fixing the Barbque sticks to the balls and then pusing them into the stand. 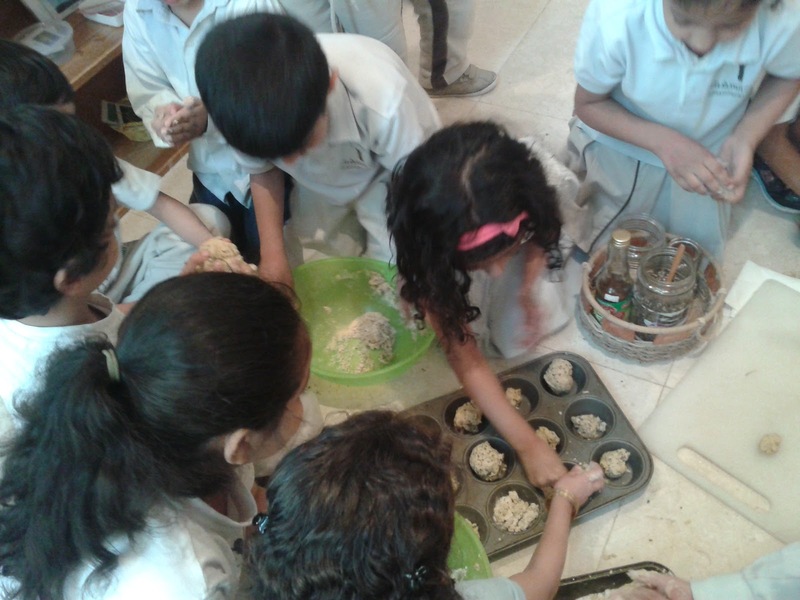 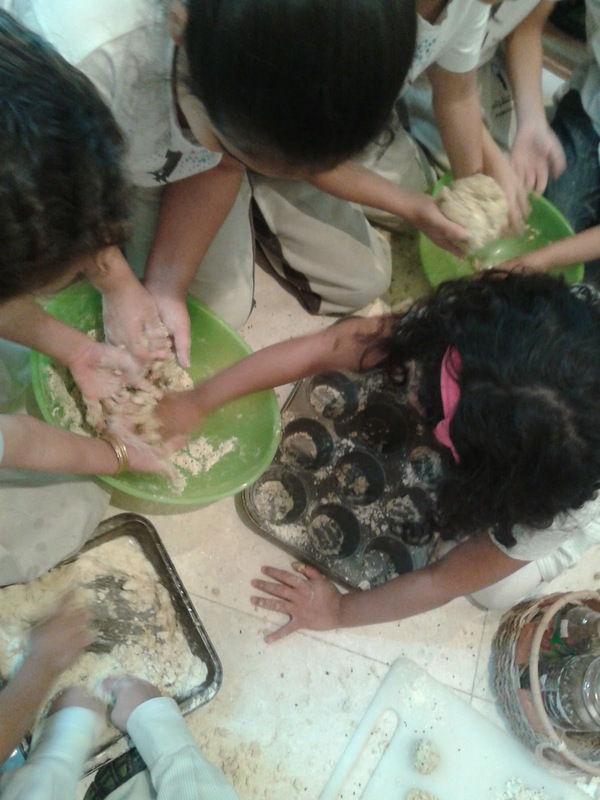 I'v always witnessed that the process in which children are involved to make or prepare something is more important than the final product itself. 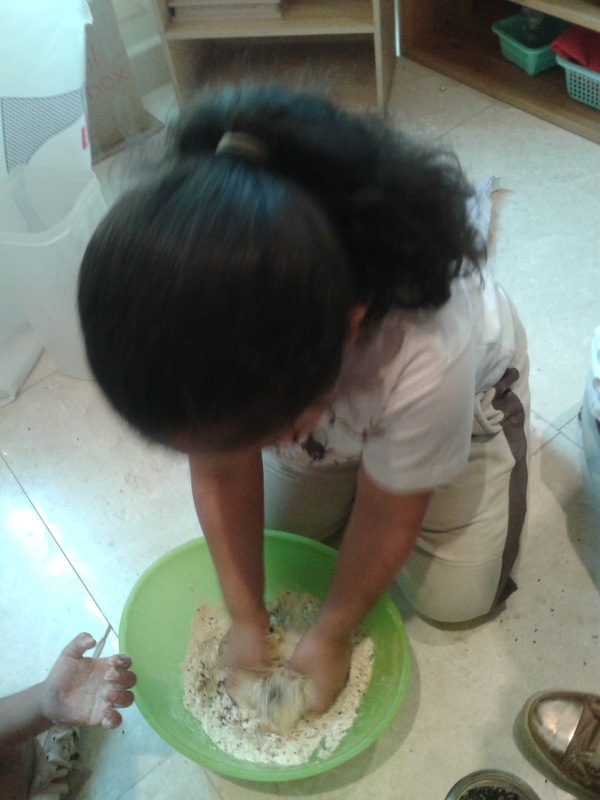 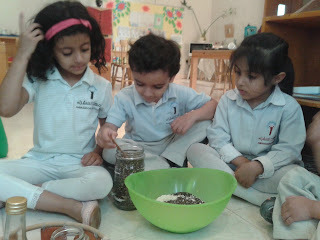 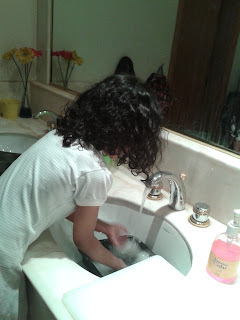 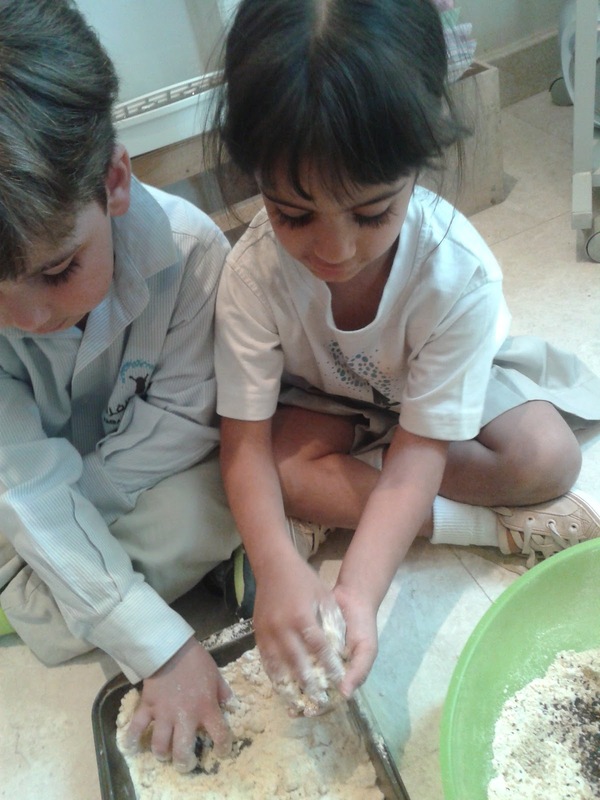 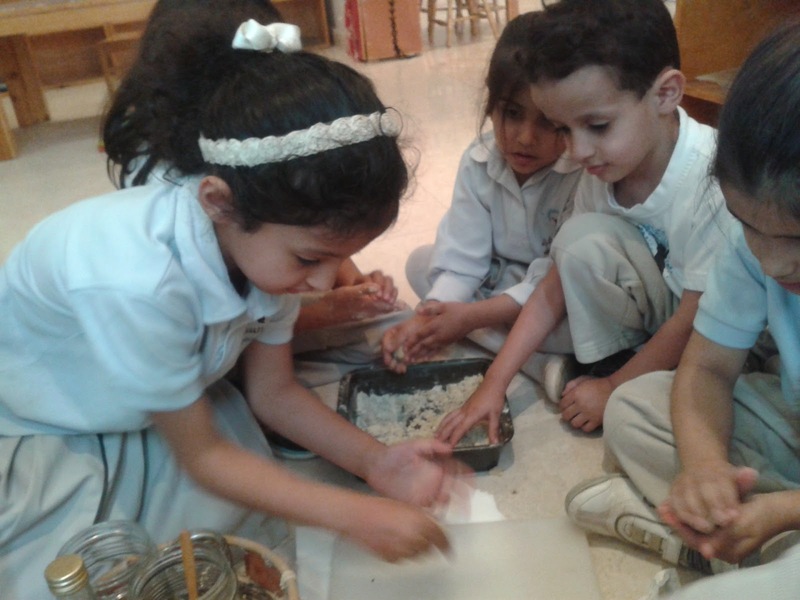 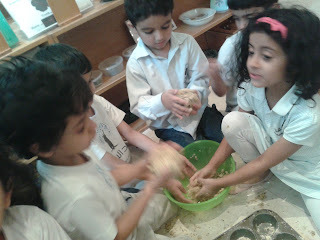 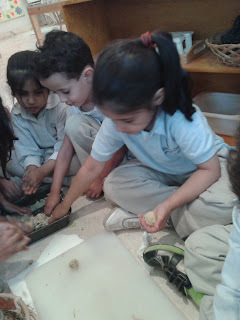 A child always learns by interacting and participating with their hands. 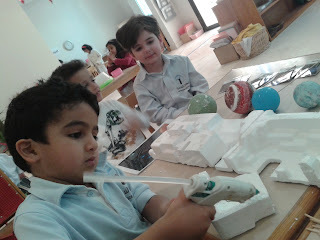 So everybody now was making their contribution in fixing the planet balls on the stand. Here they have learned some amazing skills; estimation of spaces between the two objects, balance needed to fix something on the thermopole stuff, accuracy required to make a hole on the stands like this and many more but all unconsciously. Thats the real learning infact. 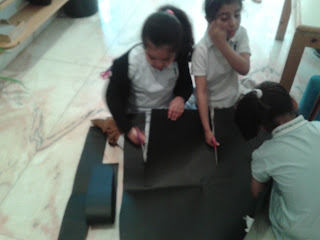 Its very natural that in these type of group work, always a leader emerges not by the willingness of others or the authority but through the amount of motivation and willingness one shows, to participate till the end. Hey, you wanna try also. 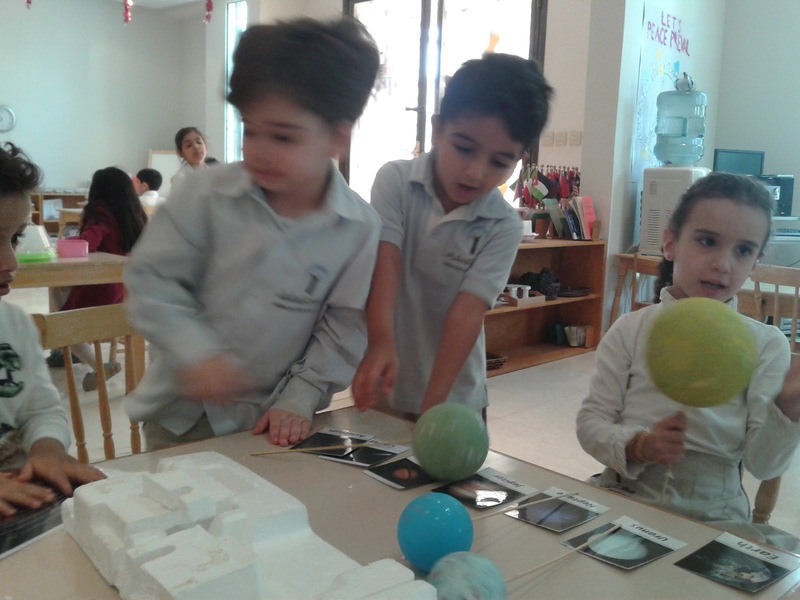 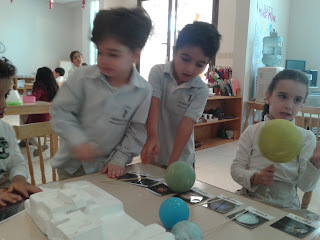 Once they were done, they started naming the planets , comparing the sizes, noticing the differnt colours, and playing with it imaginatively . 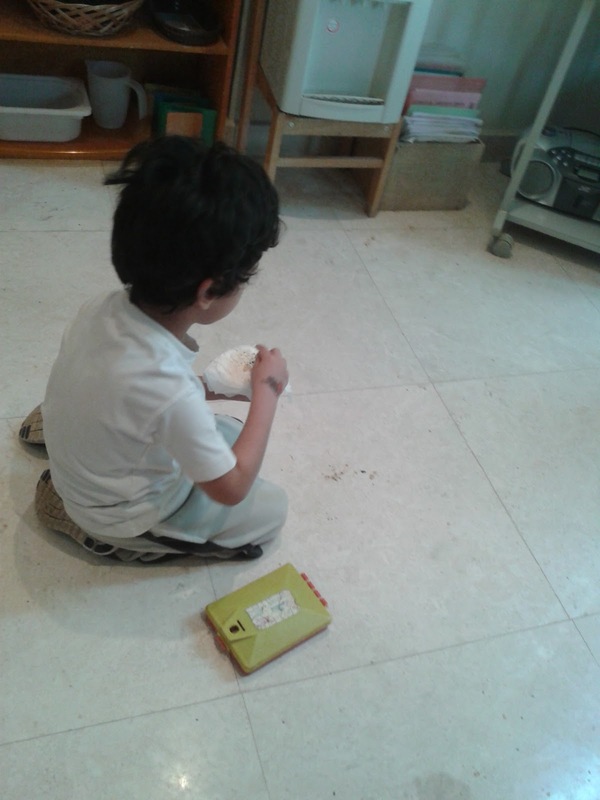 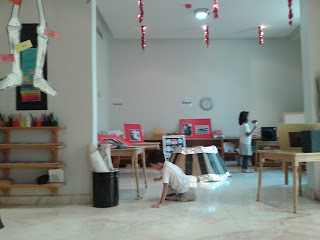 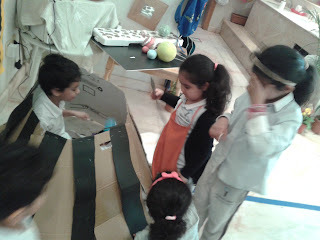 I 'v discovered that the amount of concentration, motivation, dedication and exploration have a direct link with the amount of Participation in the project or work which a child does. Sun was really an amazing thing for them, they have discovered its greatness, and so every child wanted to hold the Sun . 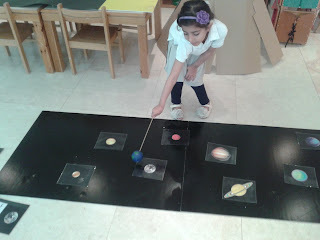 Neptune is my favourite planet , shouted one of my cutest child , and here I play with it. The next day they all were singing the PLANET song ; Sun, Mercury, Venus , Earth and Mars and Jupiter , Saturn , Uranus ,......and the song goes on. 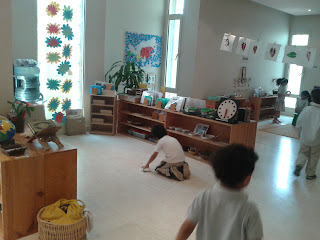 Every single day my children teaches me some lessons, on that particular day,I have learned the lesson that "PLAY IS THE WORK OF A CHILD" .MARIA MONTESSORI.